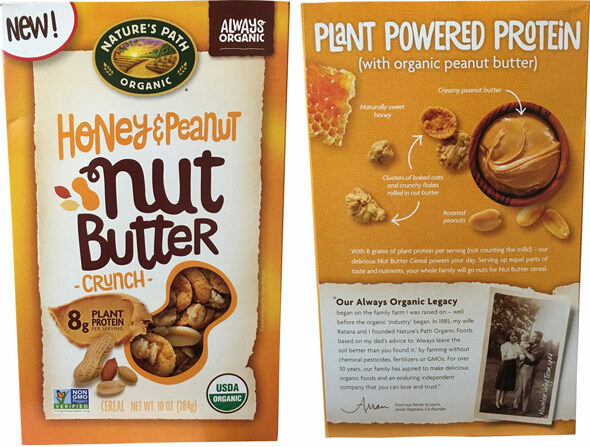 I tried 2 varieties of Nut Butter Crunch Cereal from Nature's Path: Honey & Peanut Butter Nut Crunch; and Almond Nut Butter Crunch. Both cereals consist of multi-grain flakes and oat clusters. 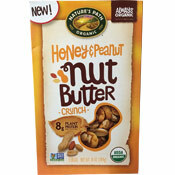 Of the 2, I narrowly preferred the Almond Nut Butter Crunch version. 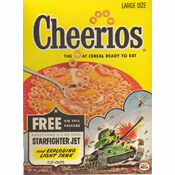 Both cereals smell similar when you open the box: a sort of general sweetness mixed with a woodsy whole grain smell. You don't get much sense of nut butter from the fragrance. When eaten dry, the cereals taste similar. They're both pleasantly sweet with just a hint of nut butter flavor. The peanut butter version contains actual peanuts which is the only distinguishing factor. In milk, the nut flavors open up a little more but there's still hardly enough nut flavor to merit the words "nut butter" in the cereal names. The peanut butter cereal tastes almost more like sunflower seeds than peanut butter and the whole peanuts are hardly noticeable in the flavor. 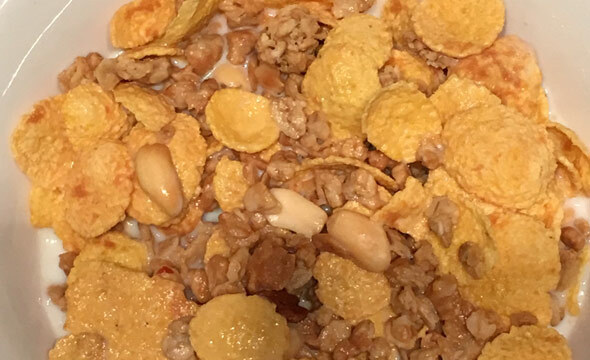 The almond cereal is flavored with both almond butter and peanut butter. That flavor combination works better than the peanut butter and (barely noticeable) honey combination. 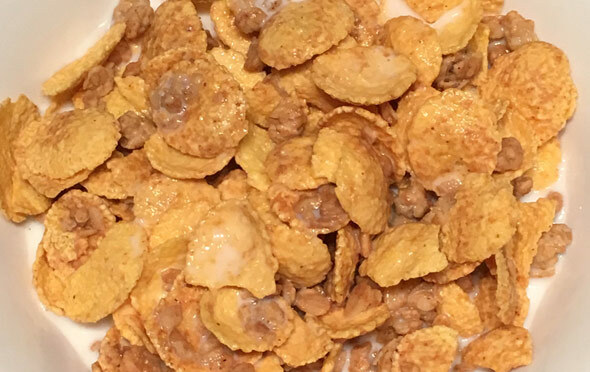 I liked the textures of both cereals. The flakes make more of an impact than the clusters at first, but the clusters shine and retain a mild crunch as the flakes soften in milk. I'd call these cereals pleasant and non-offensive. The packaging offers a promise of flavor that the actual products do not deliver on. I wouldn't buy them again and I'd be surprised if I finish either of the boxes. My recommendation: skip 'em. Each 3/4 cup serving of Honey & Peanut Butter Nut Crunch has 280 calories, 12 grams total fat (1 saturated and 0 trans), 0 mg cholesterol, 130 mg sodium, 37 grams total carbs, 4 grams dietary fiber, 9 grams sugar and 8 grams protein. 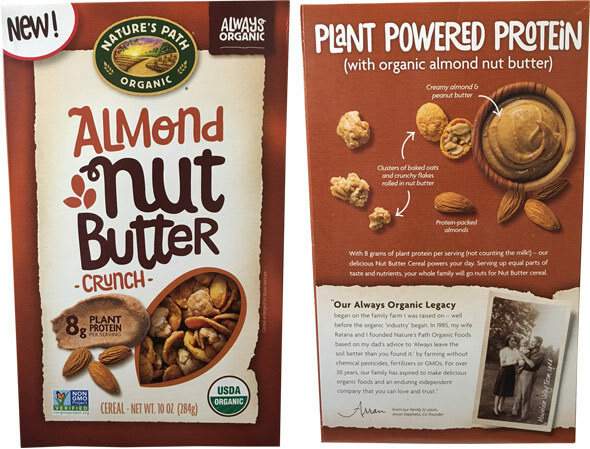 Each 3/4 cup serving of Almond Nut Crunch has 280 calories, 14 grams total fat (1.5 saturated and 0 trans), 0 mg cholesterol, 135 mg sodium, 39 grams total carbs, 3 grams dietary fiber, 10 grams sugar and 8 grams protein. What do you think of Nut Butter Crunch Cereals?